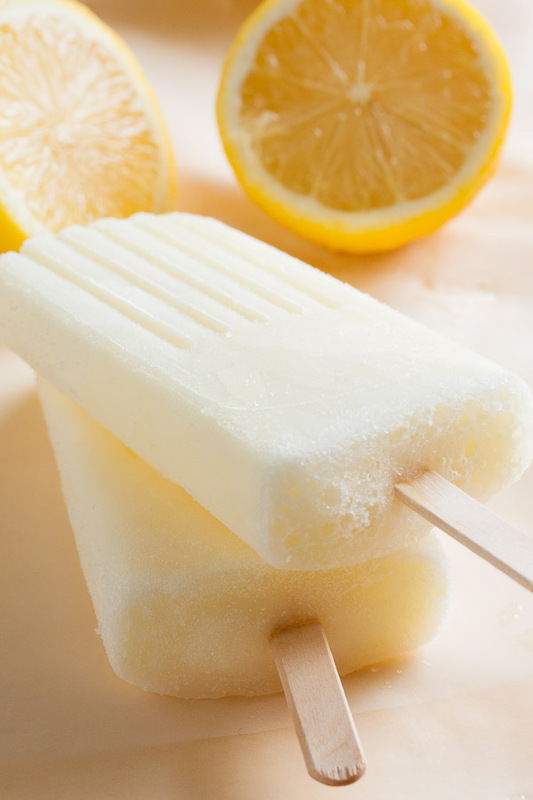 Lemon Buttermilk Popsicles | wanna come with? Okay, first off? Don’t be scared off by the word “buttermilk”! I was shocked to discover how many of my coworkers heard it and envisioned some unholy blend of butter and milk. Now I’m not saying this is a healthy diet food (snerk! 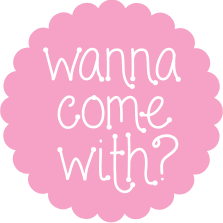 have you seen the types of things I make?? ), but it’s not the evil ingredient so many people think it is. It’s no worse than milk, honest. Surely we’ve all had buttermilk pancakes? Blueberry buttermilk muffins? Buttermilk fried chicken? Originally, way back when, buttermilk was a byproduct of making butter. It was the watery liquid left over after the cream was churned into butter. So basically the complete opposite of fat. Sounds kinda gross though, right? That’s okay – that’s not the stuff we’re using. What we call buttermilk today is completely unrelated to that original drink. 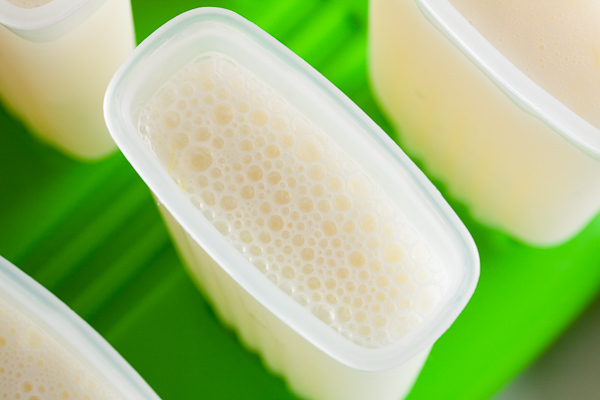 Instead, it’s more akin to yogurt or kefir, in that it’s just milk with a bacterial culture added. Yup, that’s it. Nothing scary at all. It has about as much fat content as regular milk, and there are lower fat versions available too. It’s stupidly hot here in Vancouver right now. We usually don’t see weather like this until late August or early September, and I for one do not like it. It’s too freakin’ hot. My poor cat has been sprawled out in front of the fan for almost two weeks straight and I had to go buy another fan so I could get a breeze too. And for me? Popsicles have become a necessity. I pretty much lived on ice cream for a week until I decided I need to start making my own frozen treats again. Both because of cost and health – all that heavy cream can’t possibly be good for a person. And this is the perfect time of year to be making popsicles anyway. 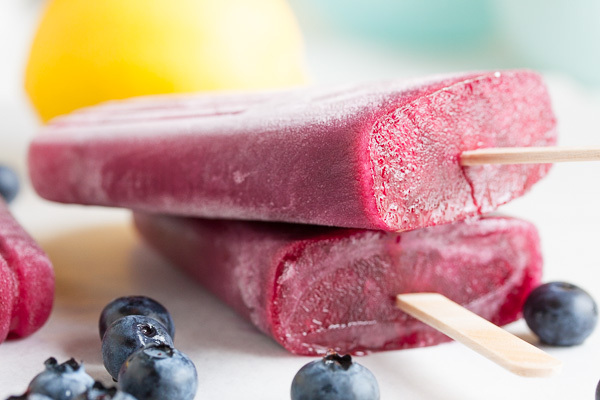 With all the gorgeous produce available in the summer, I try to focus on fresh fruit popsicles. And they’re amazing! I especially liked the strawberry + bitters and strawberry + mint ones I made last summer, and am making more of those this weekend after I pick up some strawberries at the farmer’s market tomorrow. 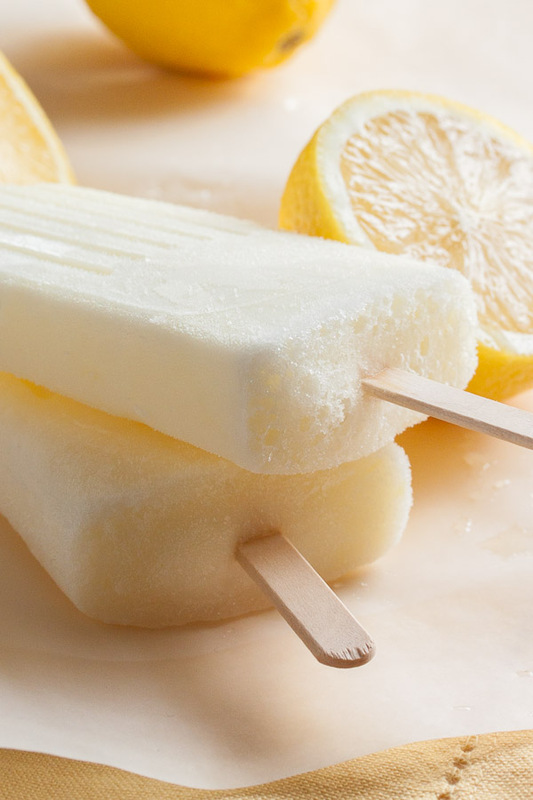 But I think it’s time to mix it up a bit and make a few creamier treats (like the key lime pie popsicles I also made last summer – those were so good! and got requested again and again). Are you surprised to see that I’m sticking with lemon? You know I looooooove lemon!! This is actually a recipe for sherbet from one of my ice cream books, David Lebovitz’ The Perfect Scoop. I figured it sounded good, so it was worth a try, right? Trust me, this was a good choice. This makes a fantastic popsicle. Even if everyone is too freaked out by “buttermilk” in the name to try one, I don’t care. I’d happily take them all home and eat them myself! Sadly, I managed to convince people to give them a try, and those that did loved them. So I had to go out and buy another carton of buttermilk so I could make some more for myself. My life is tragic, I know. I used regular buttermilk for these, but even that is only 2% fat. And the final popsicle isn’t overly creamy (I had a bad experience with some fudge pops being so creamy they were inedible – stay tuned, I’m still working on that one), but still light and refreshing. The lemon is tart, the buttermilk gives it a lovely tangy-ness, but it’s still a sweet treat. It’s like a cross between an ice cream and a sorbet. You should totally try these! I’ll definitely be making these again. Adapted from "Lemon Buttermilk Sherbet" from David Lebovitz's The Perfect Scoop. The original recipe includes instructions for processing in an ice cream maker. 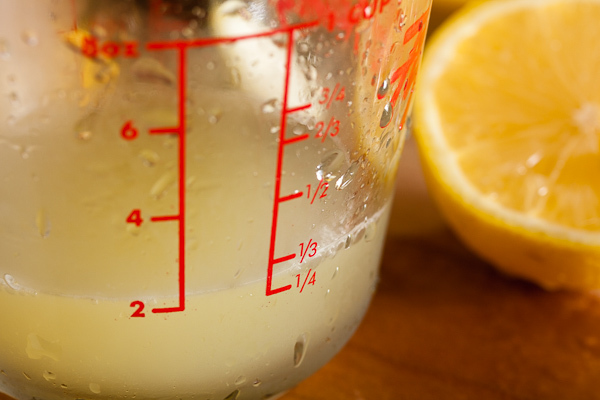 Combine the water, sugar, and zest in a small saucepan and stir over low heat until the sugar has completely dissolved. This will just take a few minutes. 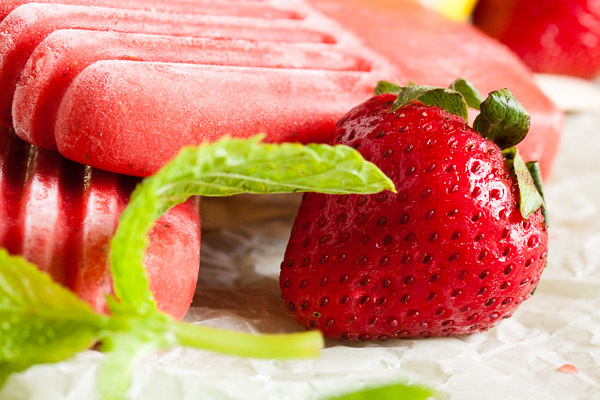 Remove from the heat and allow to cool to room temperature, then refrigerate until chilled – about 1/2 hour. Remove the sugar syrup from the fridge and whisk in the buttermilk. 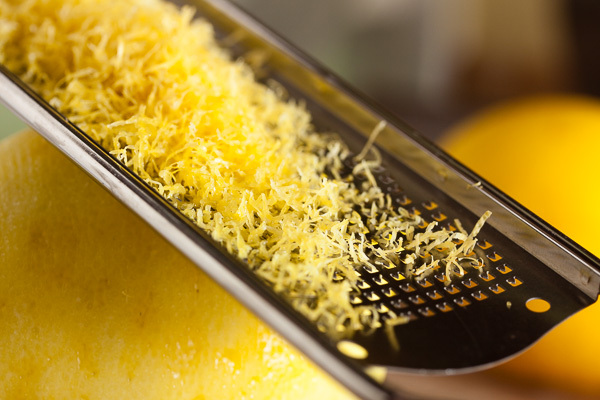 Continue to whisk while adding the lemon juice. 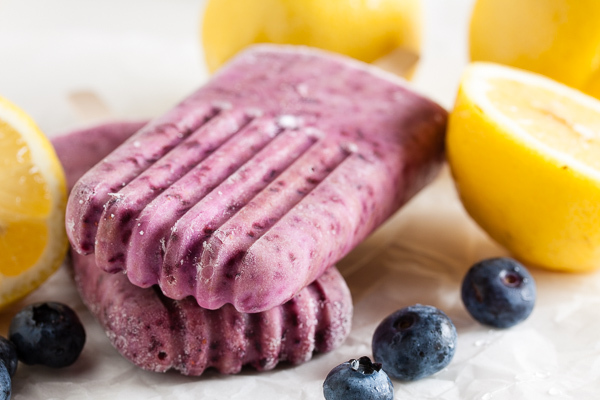 When the mixture is smooth, pour into your popsicle moulds and freeze for at least 5 hours. Enjoy!